Sydney born personal trainer Asha Burnely is no stranger to the hot Summers living on the Gold Coast, Australia. Asha is our fitness inspiration for summer 2015 / 2016 ! This young, vibrant and energetic Angel operates her fitness classes and motivational one-on-one personal training sessions out of her gorgeous Broadbeach fitness boutique. Asha’s clients form a pink and positive group called Asha’s Angels. Her indoor sessions will empower you, to look and feel great. You’ll leave the studio feeling energised and ready to take on your day. She also offers outdoor, at home and online personal training. It’s all about that… bra! “If you’re a woman, invest in a supportive sports bra - even if you’re just walking.” Asha told Gold Coast Magazine in their Jan/Feb/Mar 2015 issue. She was featured as one of their “Passionate People” because of her love of fitness and enriching the lives of her female clients at Asha Burnley Health & Fitness in beautiful Broadbeach. Located in the heart of busy Broadbeach is Asha’s pretty pink studio. 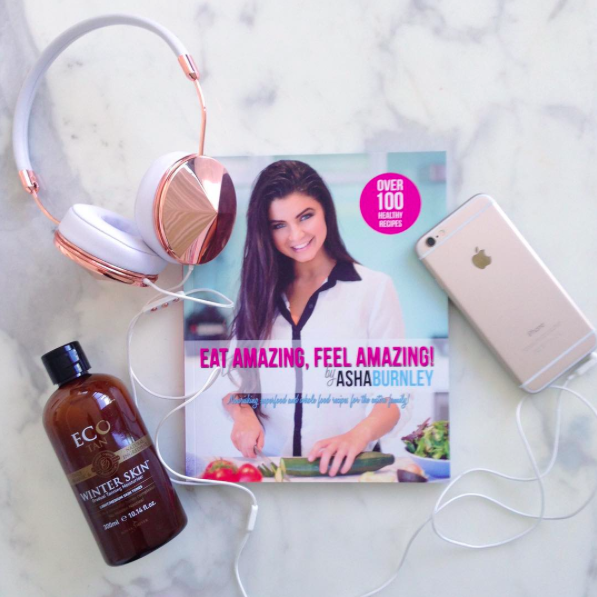 Whether you’re a beginner or an athlete, Asha will teach you how to live a happy and healthy lifestyle with her group Fitness Training and Cook Book “Eat Amazing. Feel Amazing.” Offering nutritional guidance is one of her passions. Asha’s choice for a gorgeous natural tan is Eco Tan by Sonya Driver. Asha: "This is their gradual tanning moisturiser. I'm also in LOVE with their Invisible Tan and Coconut Body Milk too. The Invisible Tan will change your life!! No more yucky spray tans, foaming mousses that you have to wait to dry, no smell, no more clogged pores or skin rashes." 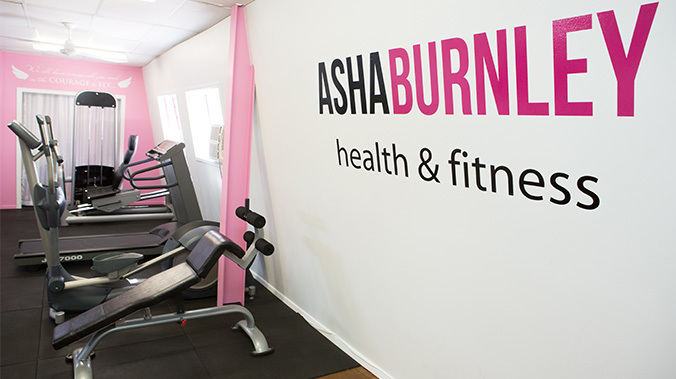 Asha is always inspiring women to live more active and healthy lifestyle. And this year she became the Oscober Fitness Guru to help spread their message "Lose the booze and help Aussie kids." Asha: “I am so excited about being part of the Ocsober team and helping support Life Education’s important work. Like a lot of Australians, I remember Healthy Harold from school and the messages he brought then are still relevant today. Asha performing Russian twists in the park opposite her studio where she trains Asha Angels. "This is one of my favourite ab exercises!" #1. Determine your plan and stick to it, whilst being mindful of not going too hard to begin with. Over training never helps! #2. Stay committed and listen to your body. Sometimes the hardest part is finding the motivation to start. Hint: find a supportive sport sister. #3. Get supported and stay comfortable - visit the Lorna Jane girls instore to be fitted with the right sports bra for you. #4. Stretch it out. Always warm-up and cool down. If you’re pressed for time, shorten your training session or take recovery breaks to find a happy balance. #5. One runner’s fuel may be another runner’s poison. Pay attention to the foods you eat 60 - 90 mins prior to your run. Eco Glamazine recommends the LORNA JANE app for tracking your fitness workouts, walks, runs, yoga sessions etc. Simply download from the App store. So girls, if you’re wanting to slim down, get fit and eager to learn new exercise techniques in 2016 simply contact Asha with your goals. Transform your body and your LIFE! Get started today!